Best known for its incredible ice-cream, London Dairy has expanded its menu to offer so much more than the dessert it’s famous for. 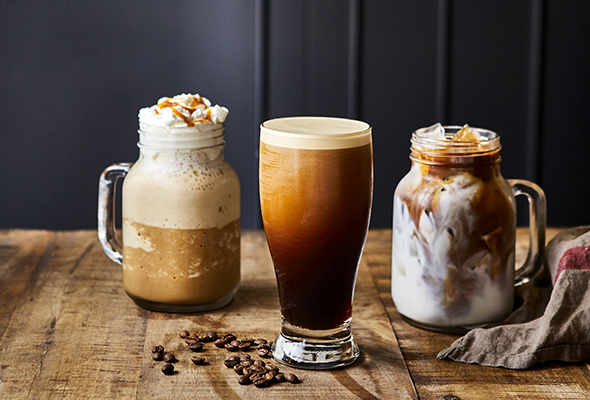 With cafes at La Mer North, Springs Souk, Mira Community and London Dairy Bistro on Sheikh Zayed Road, London Dairy offers a premium food and drink selection including specialty coffee, artisanal chocolate, gourmet food and top quality desserts. Their latest concept, London Dairy Bistro, is the ultimate foodie destination. With comfortable seating and contemporary design, you can bring a laptop to work or sit and relax for as long as you like – it’s open 24 hours a day, 7 days a week! 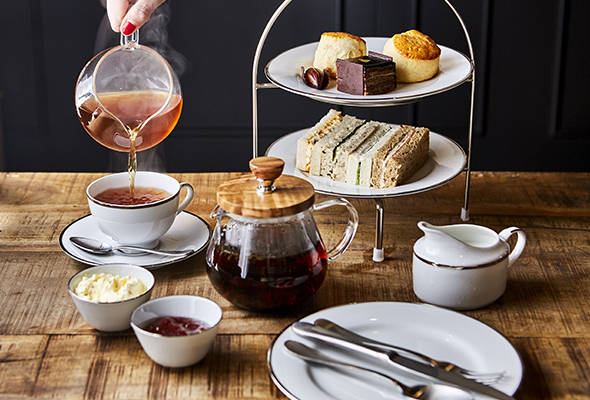 Treat yourself to a value afternoon high tea of pastries, scones and sandwiches. Ideal for an afternoon out or catch up with friends, it’s priced at a value Dhs55 for one, or Dhs100 for two. 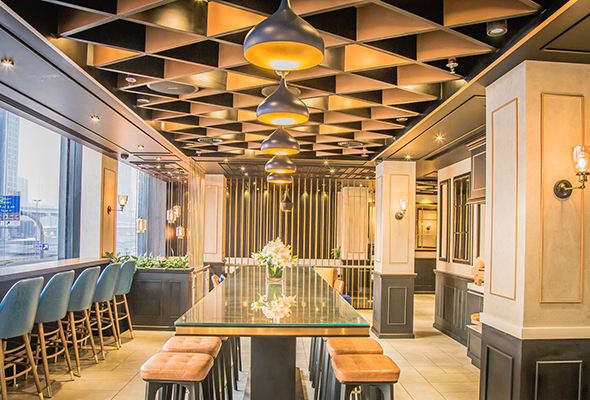 If you’re searching for the perfect place to host a special occasion, look no further. Host your baby shower at London Dairy and they will even offer a complimentary cake to celebrate. Whether for a business breakfast in the week, or lazy weekend feast, London Dairy’s breakfast menu is worth waking up early for. But if you’re in need of a lie-in, the La Mer and Springs cafés serve breakfast all day. 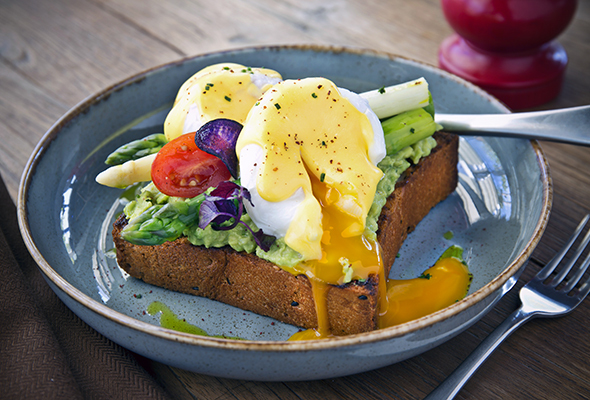 Avocado toast, eggs benedict and açai bowls are all on offer, or enjoy a cheat day and order the fluffy French toast. If you’re passionate about coffee, you’ll already know that London Dairy has a passion for creating the freshest, most ethically-sourced cup of joe. Each friendly barista is brimming with knowledge about the beans, which are hand-picked from countries like Indonesia and Ethiopa at their ripest point to ensure the maximum concentration of flavour. Ask them for the story of Crop-to-Cup and they’ll be able to divulge details on the farmers, how the beans are processed, the altitude of growth and how the coffee is roasted here in Dubai and brewed fresh for you. To accompany your speciality coffee is a vast selection of premium sweet treats and desserts. Not only can you enjoy an array of their famous ice-creams, but also hand-made bakery items including milk cake, french pastries and chocolates infused with ingredients from around the world.